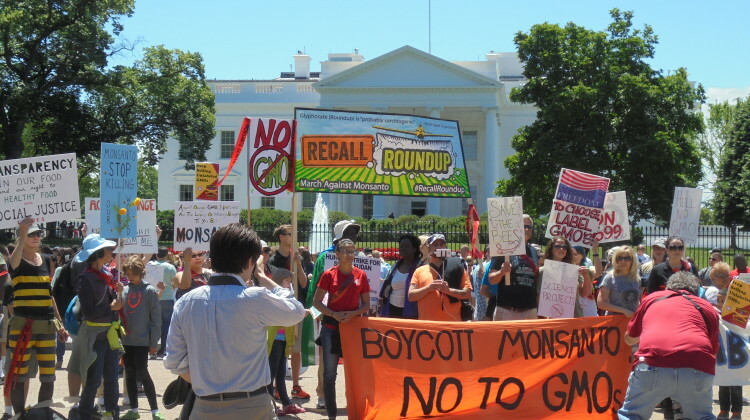 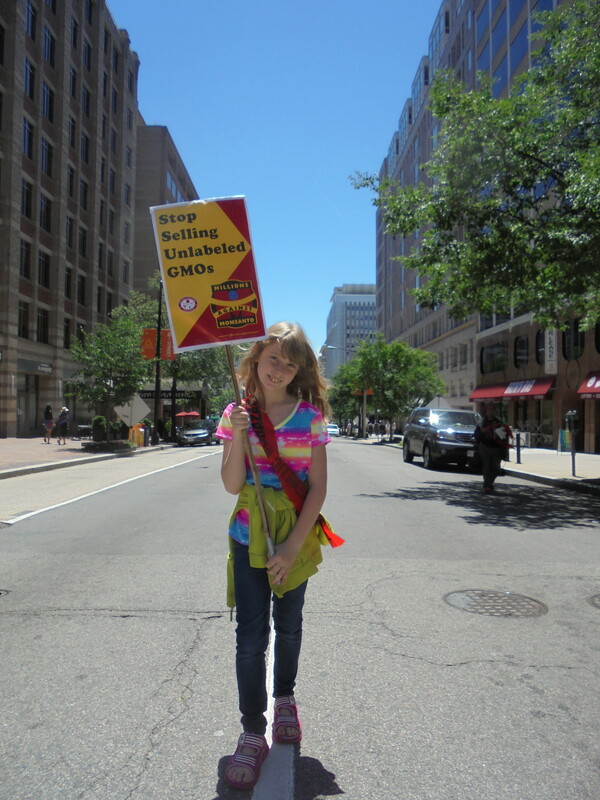 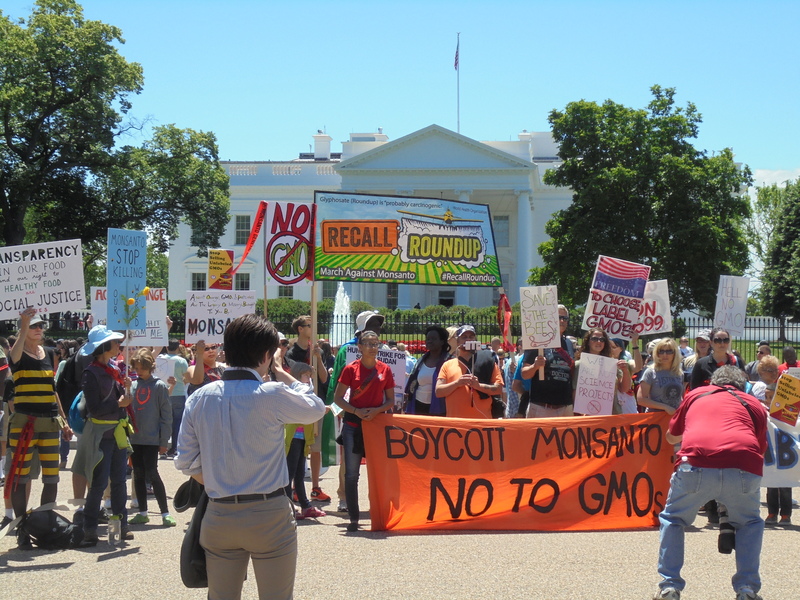 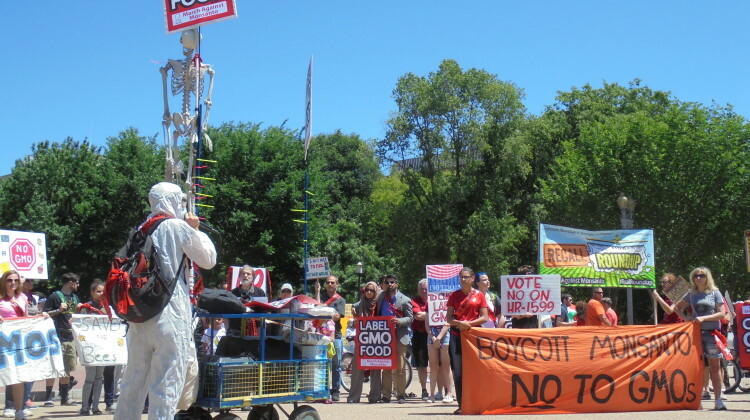 What started as a small protest outside the White House this Saturday turned into a heated debate as Anti-GMO activists confronted counter-protestors outside of Monsanto headquarters. 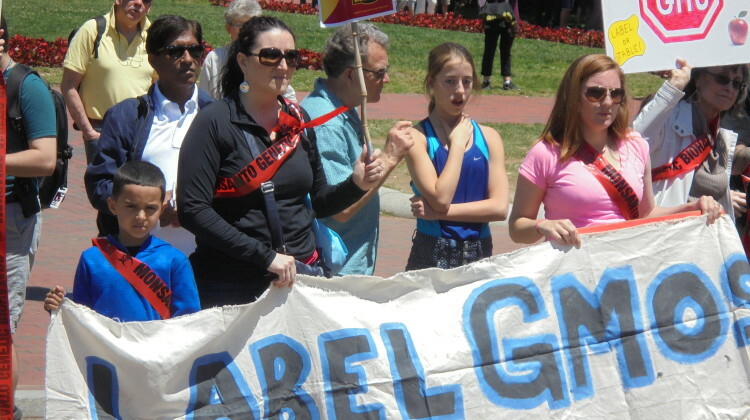 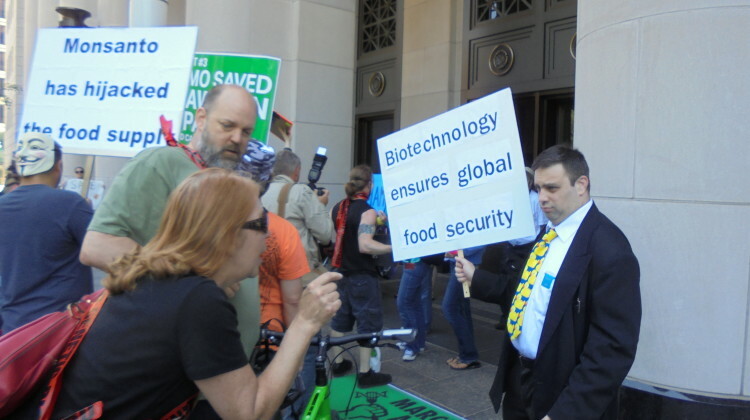 The demonstration was part of the third annual “March against Monsanto”, a protest against the agribusiness corporation taking place simultaneously in 421 cities around the world. 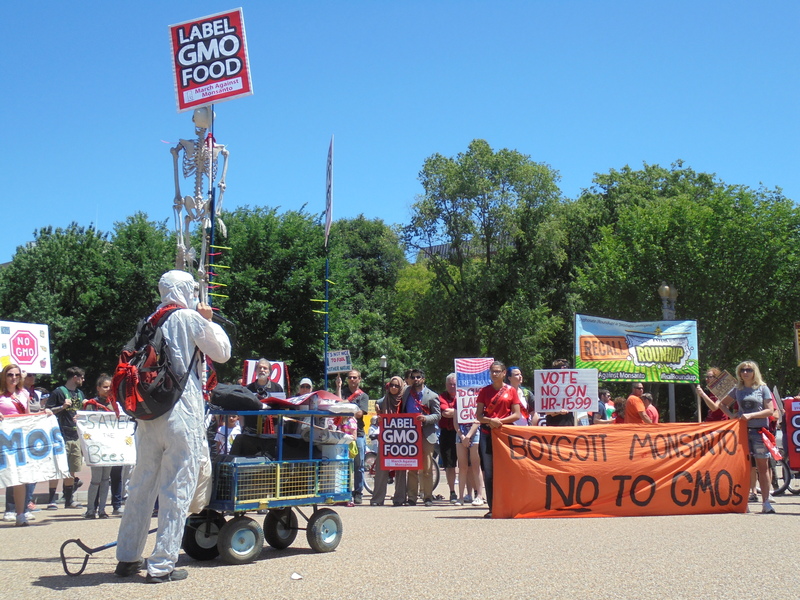 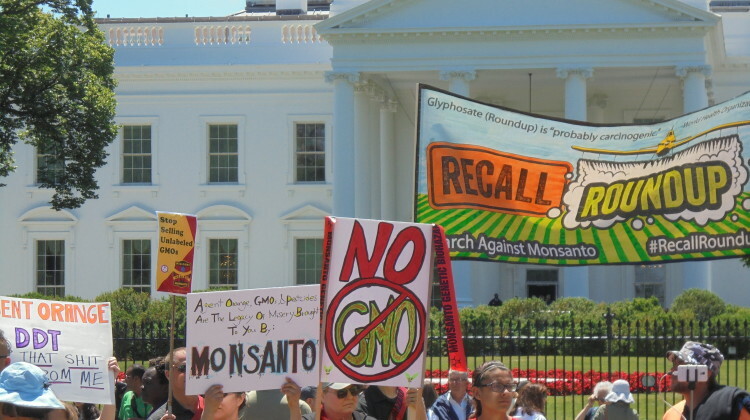 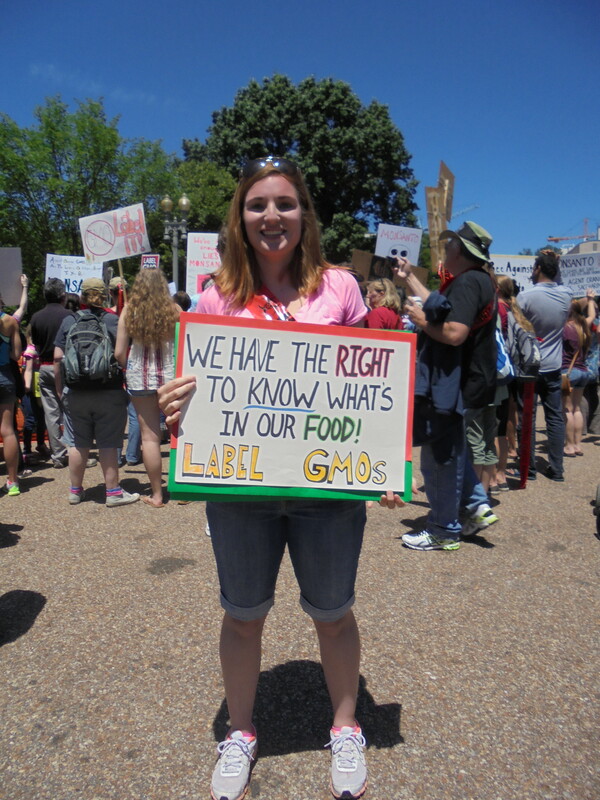 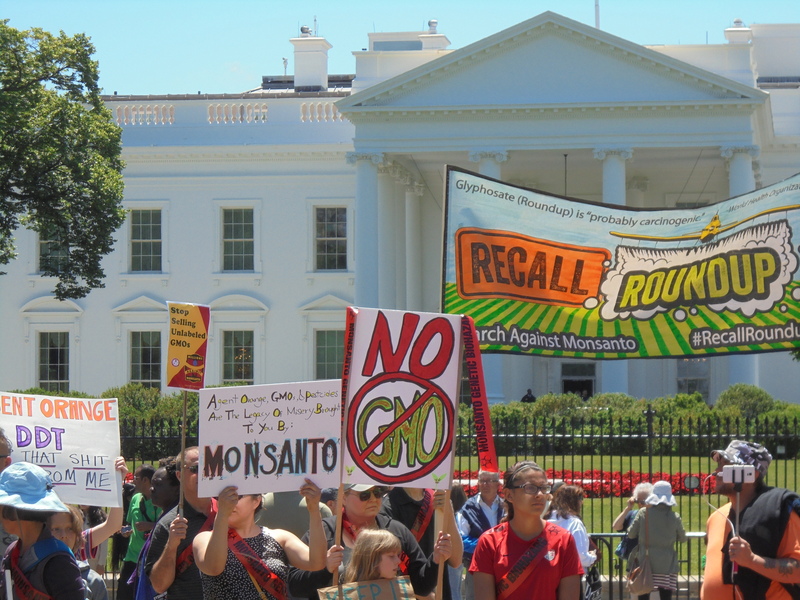 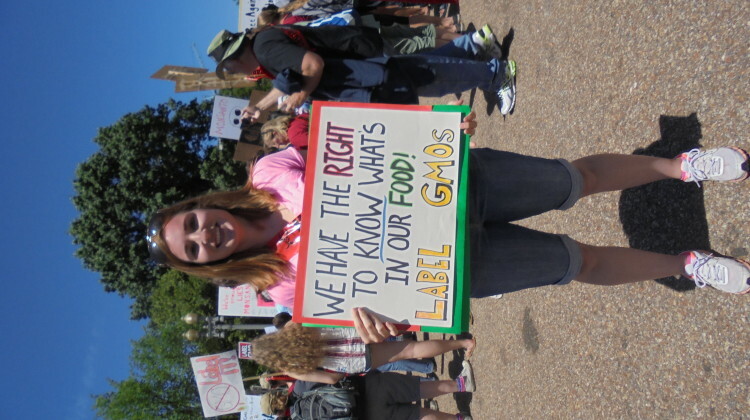 Activists in Washington, D.C. decided to gather in front of the White House and take turns listing their grievances with GMOs. 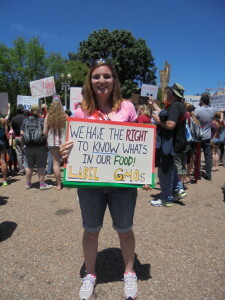 Fourth grade teacher Lauren Caruso spoke out about the impact GMO’s are having on kids in school. 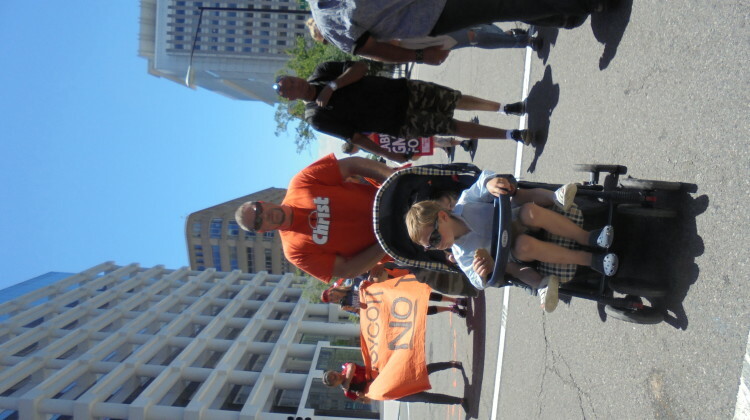 “It’s just so emotional for me to watch these kids and what they are eating, especially my friends that are eating free and reduced lunches it’s not healthy,” Caruso said. 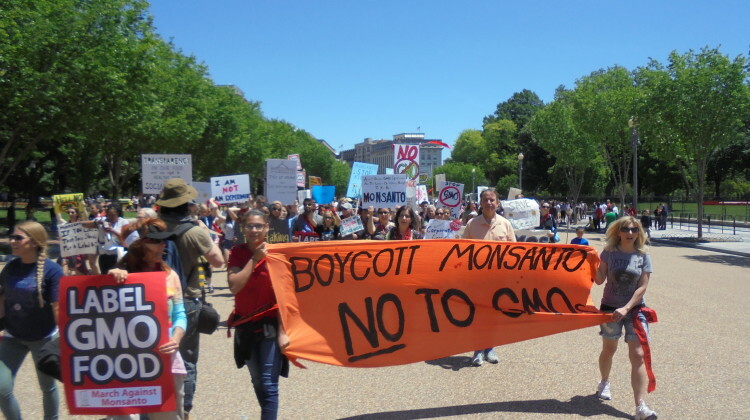 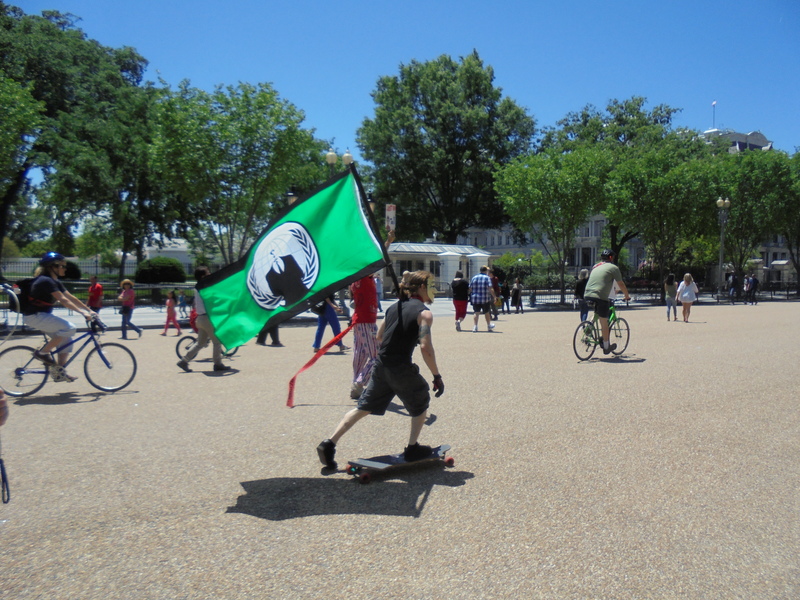 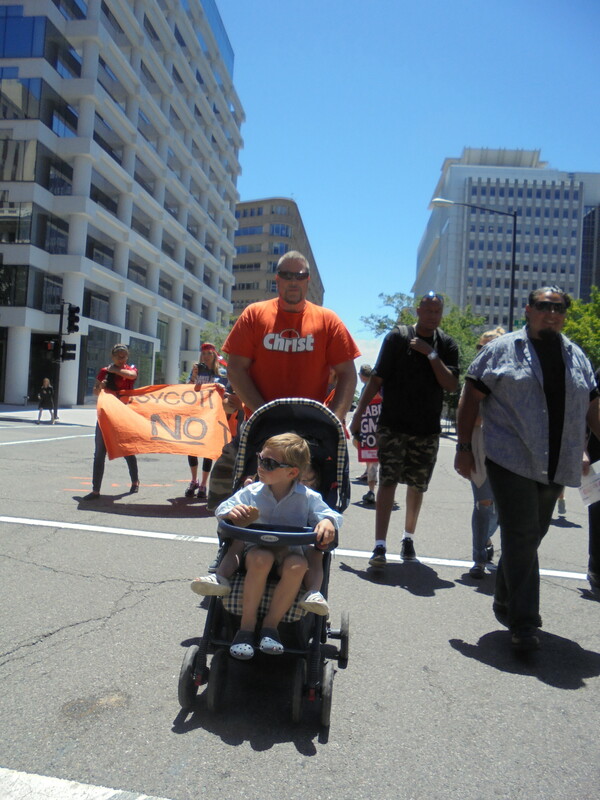 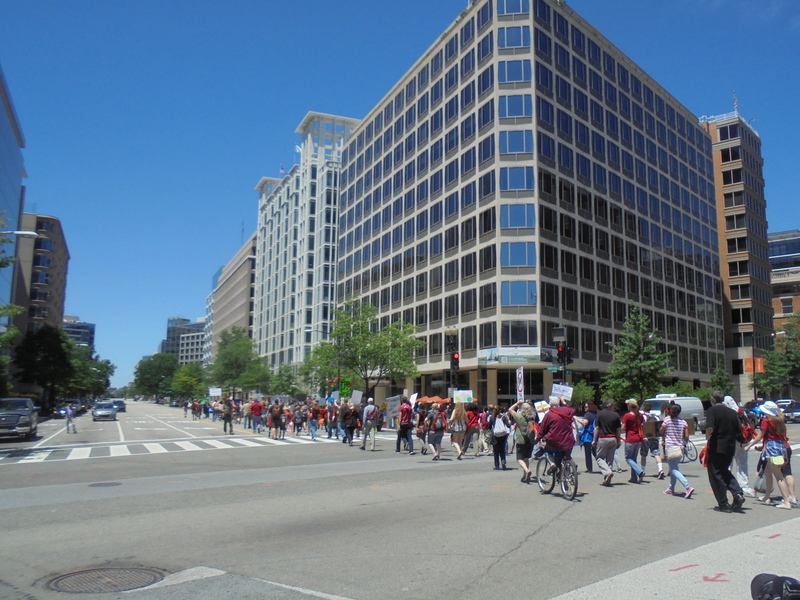 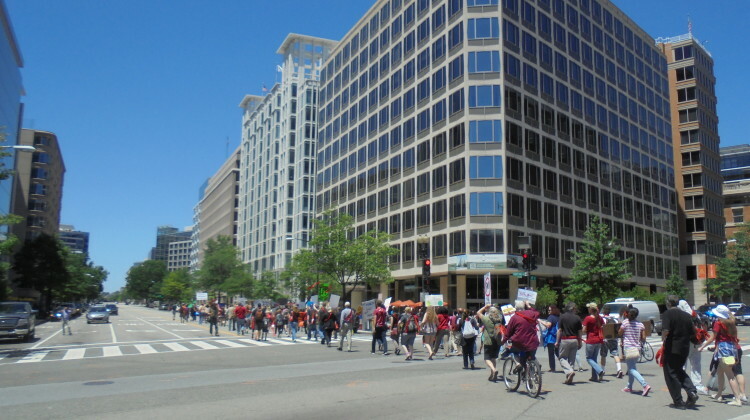 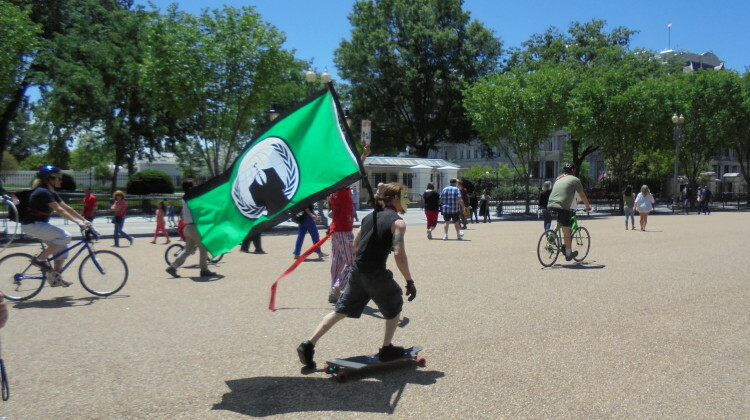 The protest, organized by members of the hacker group Anonymous, farmers and concerned consumers began to pick up new participants as they marched towards Monsanto Headquarters. 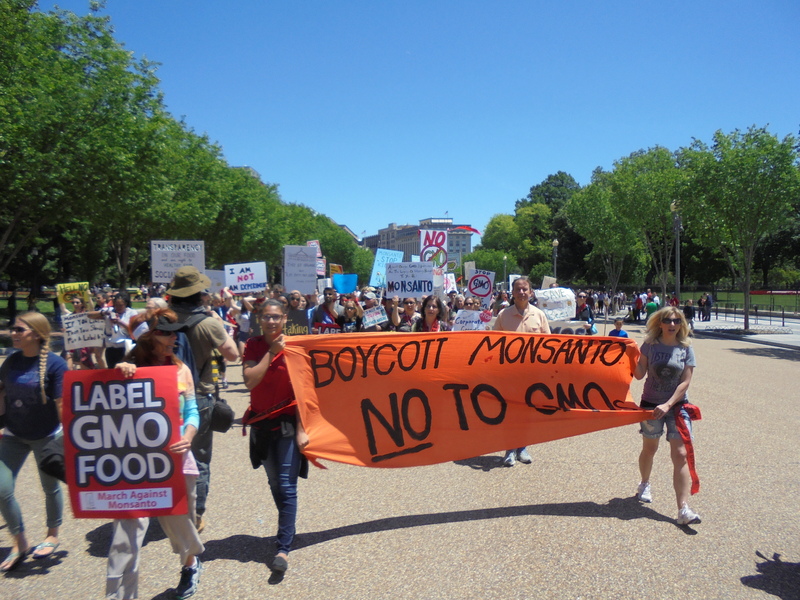 Many of the activists were not only concerned about the health effects of GMOs, but the influence Monsanto has over lawmakers and regulators. 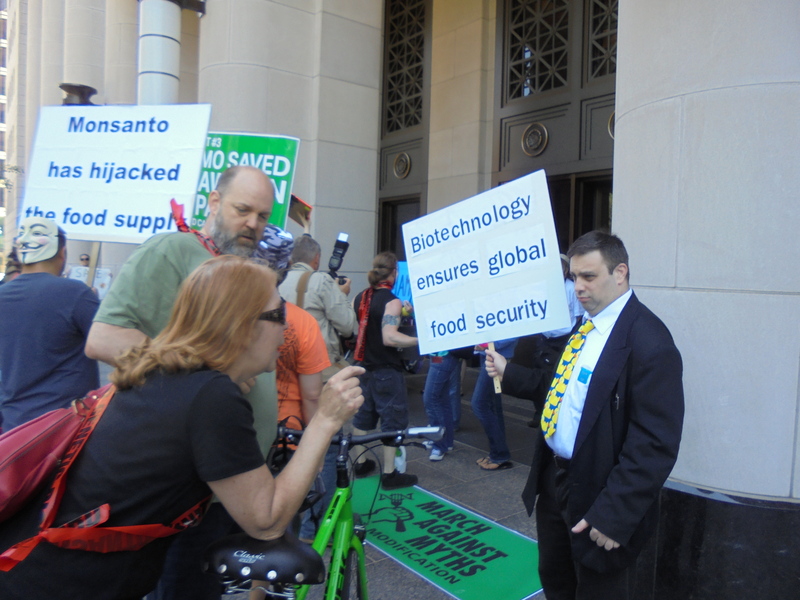 As the protesters arrived at Monsanto headquarters a group of ten Pro-GMO protestors stood in front of the building. 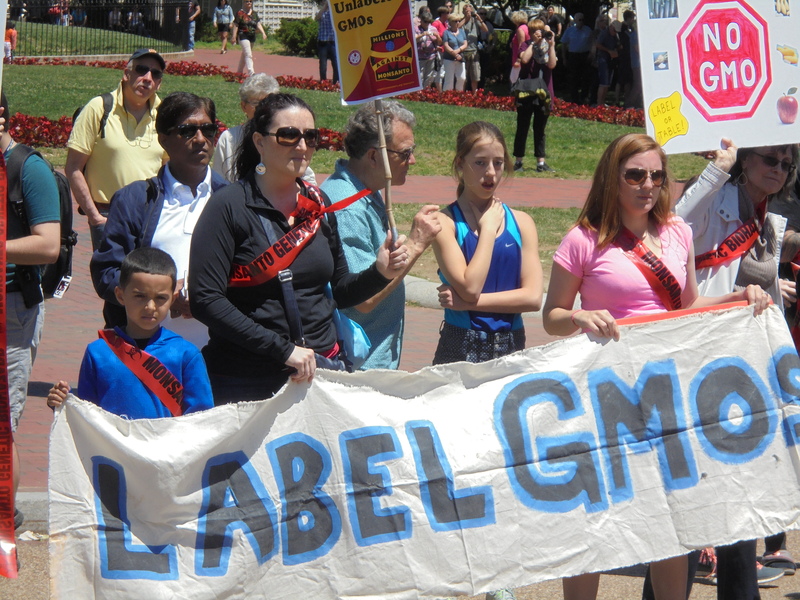 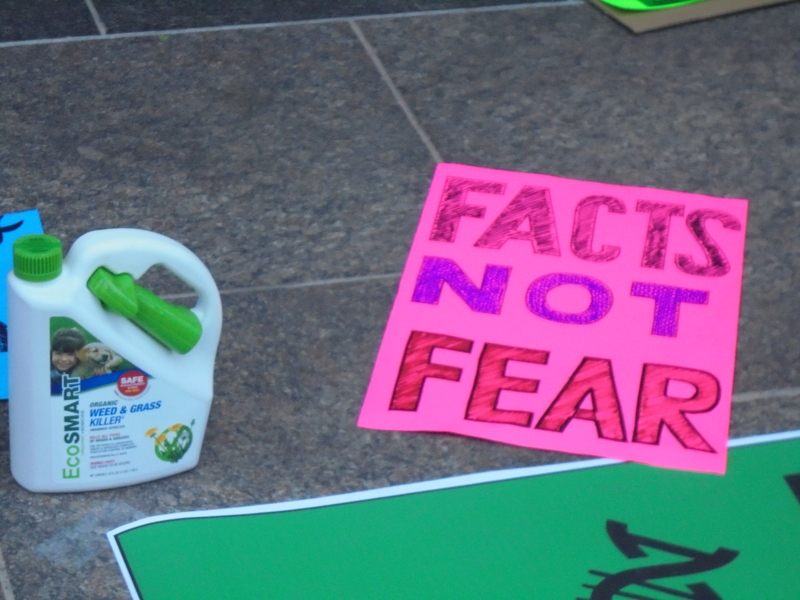 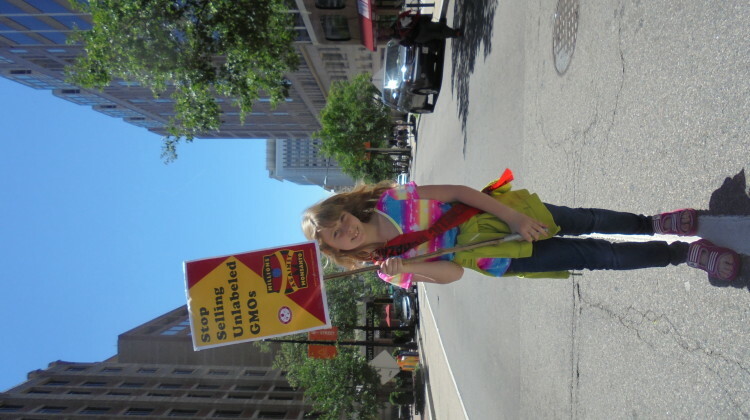 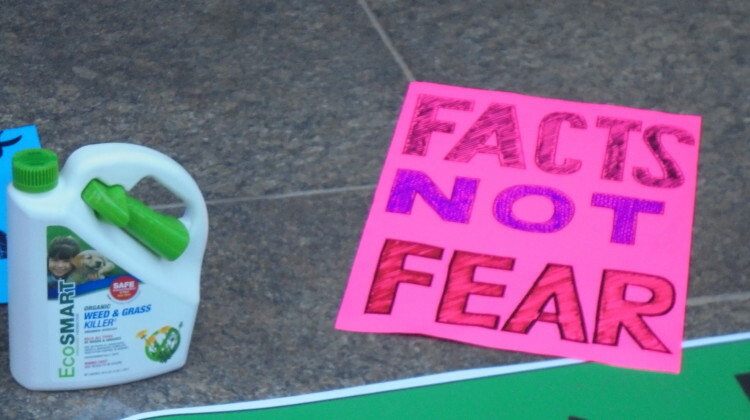 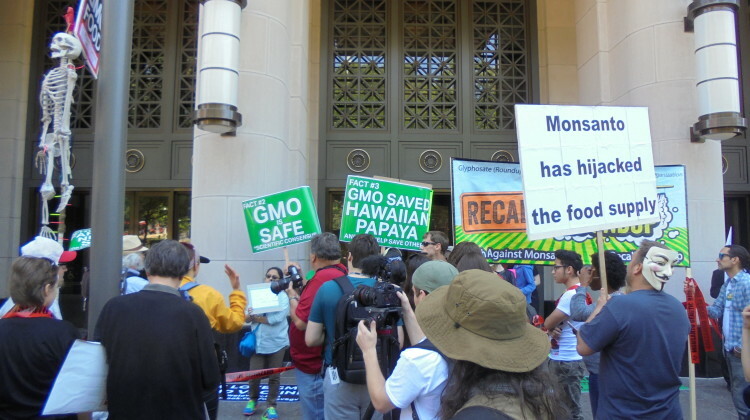 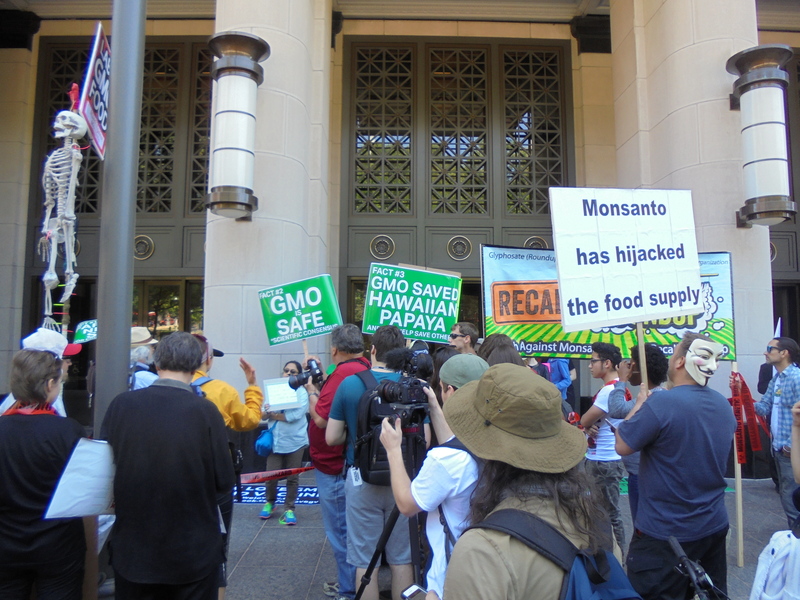 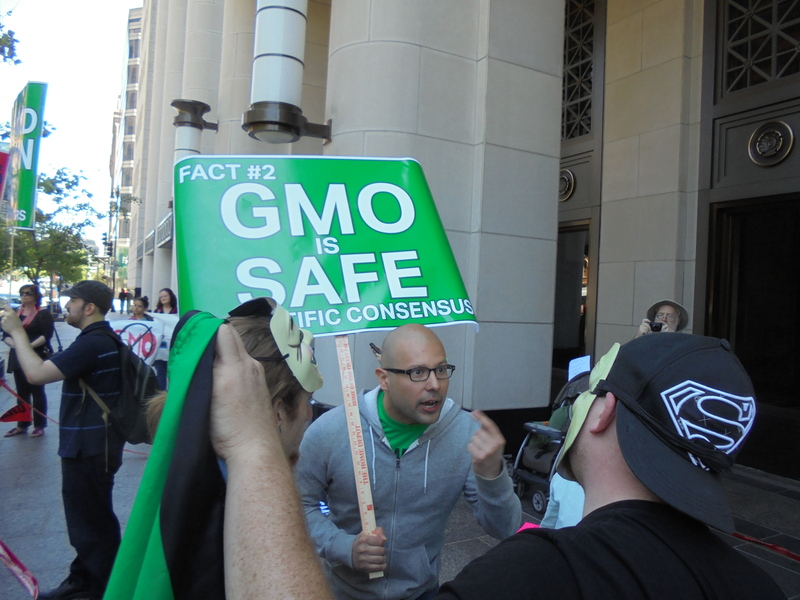 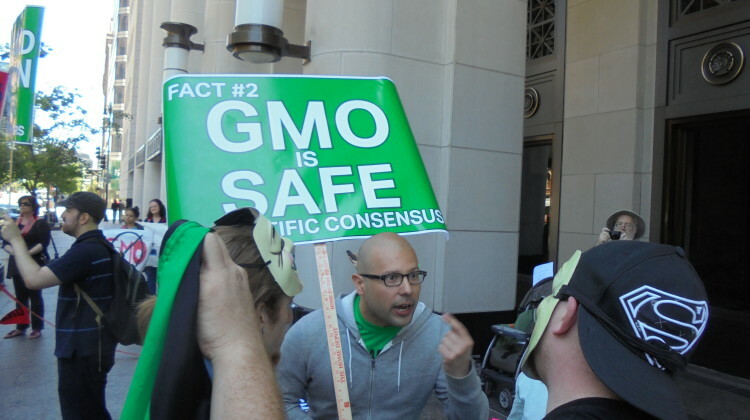 Holding signs saying, “GMO is safe” and “Facts not Fear,” the Monsanto supporters were largely outnumbered by Anti-GMO activists.